In this book author Stan Hieronymus starts with the basics of hop chemistry, then examines the important role farmers play and how brewers can best choose the hops they need. He provides fundamental information about and descriptions of more than 100 hop varieties, along with 16 recipes from around the world, including from top U.S. craft brewers. 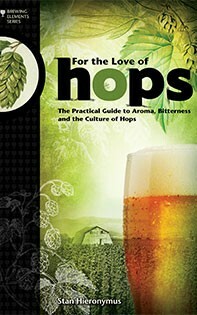 Hieronymus explores hop quality and utilization, with an entire chapter devoted to dry hopping.